This article by ARIELLE CASTILLO appeared in wrln.org. 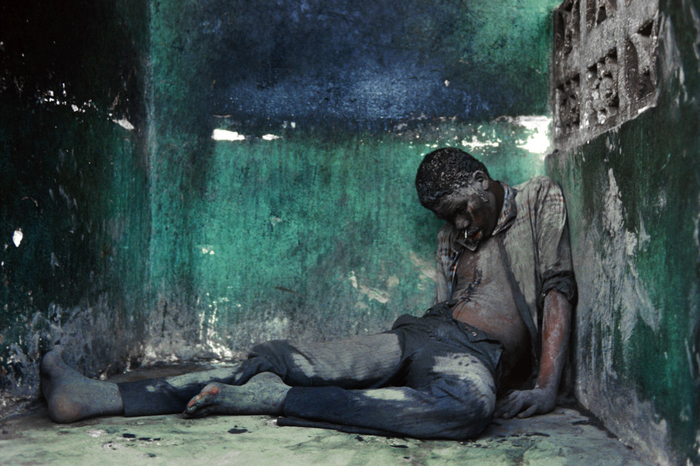 Steber: This is in the slum of Rabato outside the dry dusty town of Gonaives, Haiti. 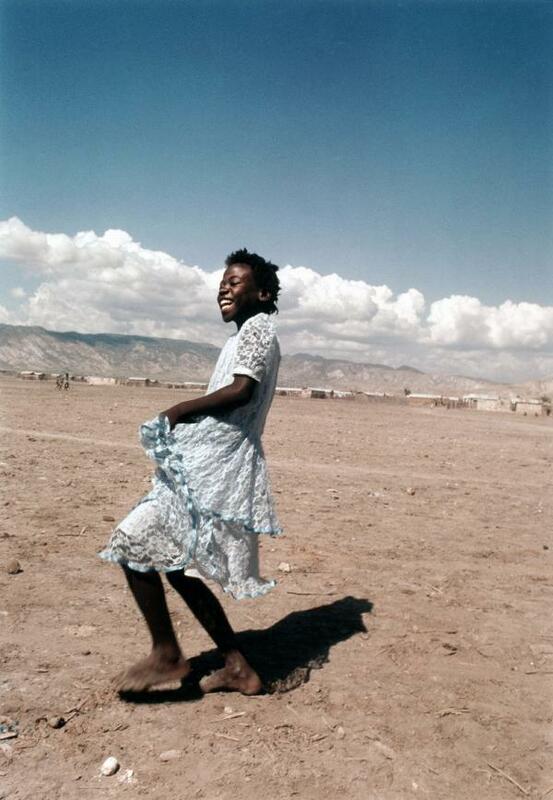 Out of a barren landscape a young girl comes singing and dancing. In Haiti, beauty like this is what you see out of the corner of your eye; it’s always unexpected though you know it’s there. It’s not obvious. The girl represents an elegance and spirit, even in poverty, a dignity. 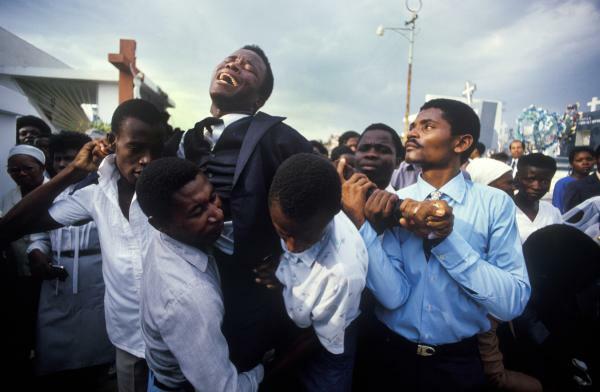 Steber: It’s really hard but these photographs represent major events, startling moments, and surprises, and I think they spell out a lot of recent Haitian history since the fall of the Duvalier regime. But it’s also the stories behind them that I love or think are important. I would choose more than nine as favorites, but I just love the number nine. It’s my number, so there you go. 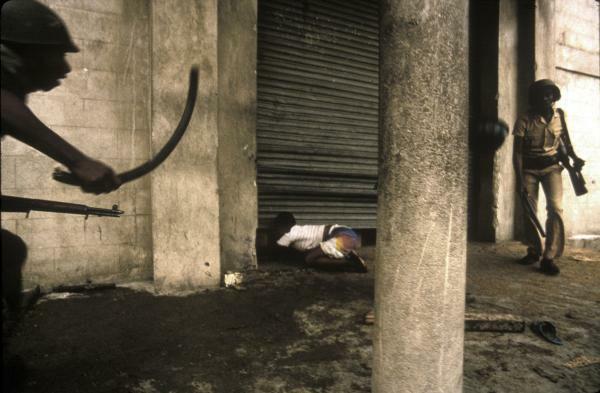 Steber: I stopped shooting in Haiti in 1988 for about six months. And since the earthquake, when I was there quite a bit, I only go twice a year at most. I’m hoping to change that. Finally, it was quiet and when I went out to get into my car, it had been burned. I hailed a taxi, got back to my hotel, and called the Associated Press with an eyewitness report. I left the next day and thought I would never return — but I did, six months later. Haiti gets in your blood and you can’t stay away too long. But I’m not an equipment geek. I just want to use something that will see what I saw, and I love the idea that the cameras are my buddies out on an adventure. Silly as it might sound, I think they make me a better, more careful, more subtle and braver photographer. They are my partners in crime!